On this, the 21st episode of The PolicyViz Podcast, I am very excited to welcome Edward Tufte to the show. As you might expect, I was excited to talk with Professor Tufte, so this episode is quite a bit longer than the usual episode. We talk about his art and sculpture, data art, the state of data visualization tools, and the future of data communication. I’d love to hear from you, the listener, about this episode. Do you have thoughts on Tufte’s views of data art or data visualization tools? Did you take his workshop? If so, what was your experience? And as always, should you have comments about the show or suggestions for guests, please let me know using the comment box below or on Twitter. And please rate the show on iTunes–your ratings help! Just a note that I found Edward Tufte’s voice difficult to hear compared to the host and compared to other podcasts. Still fascinating though, thank you. 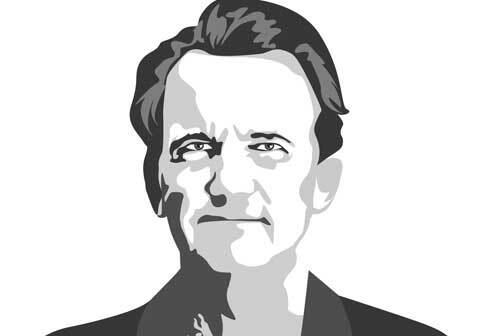 Jonathan – wonderful podcast, really enjoyed what Prof. Tufte had to share, and you did a great job of steering the conversation. And the frequent postings on how to get the most out of Excel wrt data presentation have been great! para dar un giro de 360º con una enorme aventura virtual sincera y pura. I think Tufte’s contributions to the field are immense, but I don’t think that it’s a good idea to “not care about the workshop participants”. For teaching, it’s important to consider the knowledge and anticipation of the “students”.